Below you will find our competitive pest control prices and plans. Whether your home or business is in need of a one-time treatment, a monthly plan or just quarterly checkups, Advanced Pest Control of Alabama makes pest control services affordable for anyone. Ready to get started? Contact us today. • Prices cover homes up to 3,000 SQ. FT.
Knowing how important pest control is for your property, the environment and the economy, renders it a more than necessary investment to be made. This is why you ought to know pest control prices in Alabama. 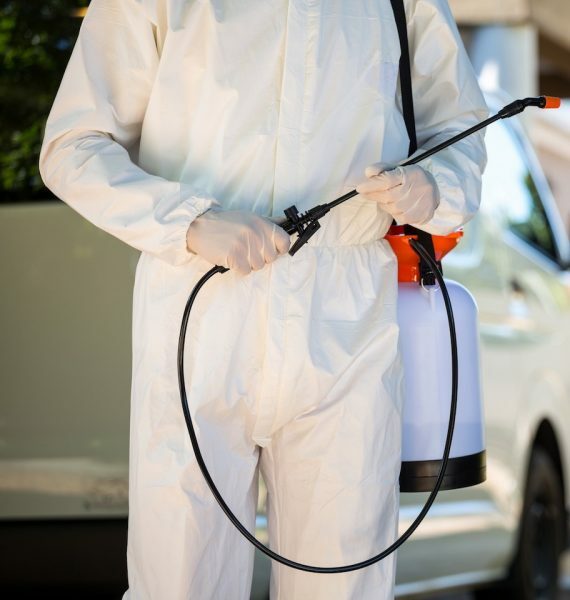 Nowadays, there are plenty of pest control services to choose from, offering control methods ranging from the traditional to the modern and contemporary types. Some of the pest management you can do by yourself, such as using spraying pesticides. However, having a professional pest control service like Advanced Pest Control of Alabama deal with the issue is much more effective. Of course, these methods implemented by professionals don’t come cheap and, depending on the size of the property or field, the prices vary. *with exception of hardwood flooring. We cannot guarantee anything on hardwood floors. • Option to continue monthly service for $30.00 or quarterly service for $75.00. If you do your part, we guarantee no roaches by the end of the 3rd treatment or the next service is on us. *Pest-Free Guarantee is based on your efforts to keep clutter, food debris, dirty dishes, wet rags, etc. to a minimum. It is important to know where the average pest control pricing is at the moment, just to be able to determine whether the service you’re getting is worth your money. Average-sized homes go for $40 to $60, depending on whether it is a monthly or semi monthly treatment we are talking about. The more often the methods are applied, less likely will the pests return to your home. That is why some services offer annual programs which consist of three visits. Usually, the first visit is the most expensive one and goes from $150 to $200 while the other two visits can go for around $80. Single pest control treatments tend to be the most expensive visits. One treatment in a house of 1,500 square feet goes for $300, on average. These numbers largely depend on the size of the property and the size of the pest itself. The prices also vary from company to company, so does the quality of the treatment. According to some statistics published on Angie’s List, the national average price for one termite treatment is $1,535 while the average price for pest treatment goes from $145 to $214, also on a national level. Bee and wasp control services seem to be the cheapest out there. A single nest would cost around $95 to be cleaned and protected while the full house prevention would go for $145. Some companies offer two-week check up appointments to make sure no pests are returning which is why it’s important to look into every option when choosing the best service for you. Pest control companies will cost you more money but you will surely get a great treatment in return. After all, pest control is an investment which must be made if you don’t want to lose your property or field due to the damage these species cost. Speaking of economics, it will cost you much less to set up an annual pest control and prevention program than to try and fix the damage once it has already been made. In conclusion, two main things to consider is the average pricing of the pest control services and the importance of choosing the right, professional service. Many people don’t know how to properly invest into pest control which leads to unnecessary waste of money. Make sure you reach out to a professional for advice on your pest issue before hiring anyone to get the job done. A poorly done treatment calls for the return of the pests which is the worst case scenario for you.